When you become a mom you really start to question the products you use around your family. My family has began looking into greener options for our home. We currently have a home garden and we also have a flock of chickens for egg production. 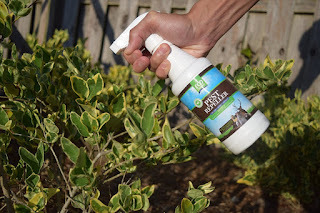 ORGANIC Pest Repellent Review By Eco Defense is an easy to use product that only contains 2 ingredients that is safe and effective. It is perfectly safe to use in your yard as well as in your home. 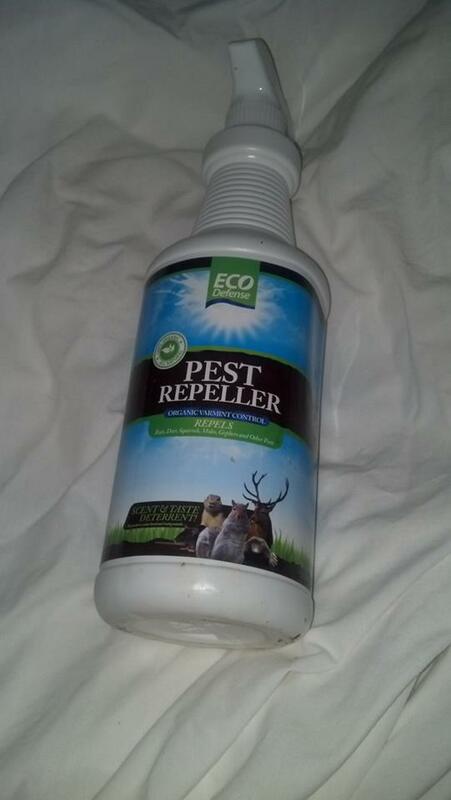 It is 100% organic and all natural and works buy repelling pest with a scent and taste deterrent. We have used this in our home, in our garden and in and around our chicken coup without any issue to us or our animals. There is no harsh chemical smell associated with product at all, as a matter of fact I smell nothing at all-then again I am not a pest. 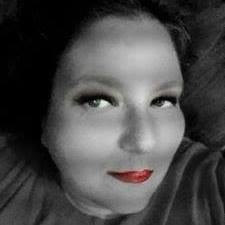 I feel very safe using it in my home and around my children and pests without issue. And since it is not packed with lot chemicals for are free to spray it as needed without worry too! 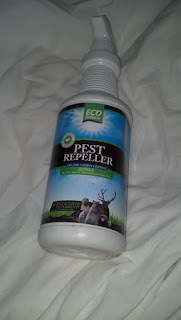 So if you are looking to go green with a product that does not kill but repels those pest this would be a great product to use! Eco Defense. Complete. Pest. Eliminator. ingredients to keep pests out of home and attics. Great for getting rid of mice and rats without resorting to traps or poisons. 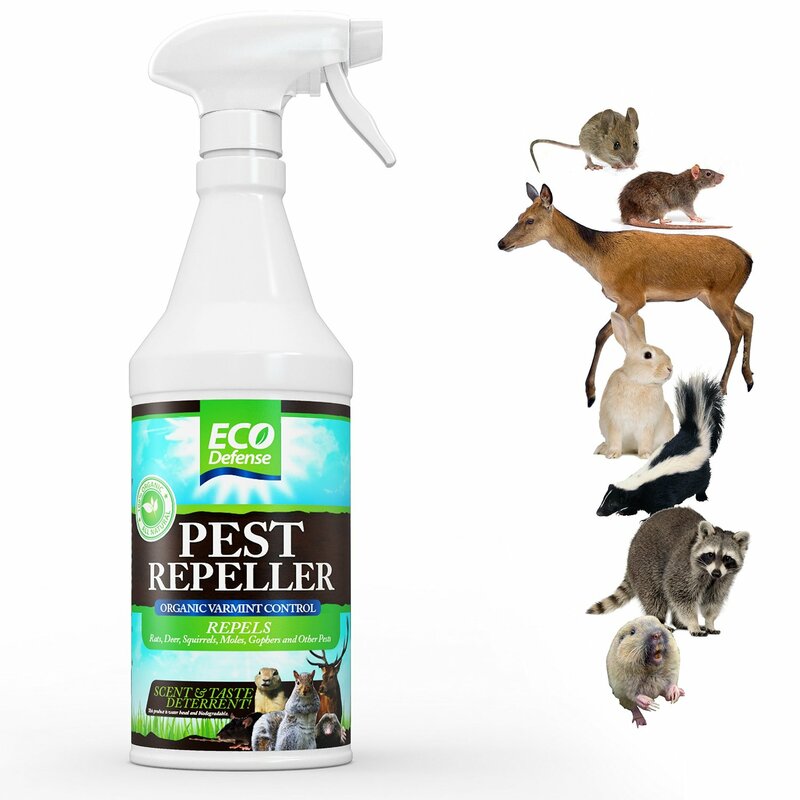 Use any and everywhere you are experiencing a pest problem.✓ ELIMINATE PESTS AROUND YOUR HOUSE AND YARD - Deer, Moles, Raccoons, Rabbits, Bats, Gophers, and Much More will leave and never come back once you start using Eco Defense. The taste and scent deterrent will keep them away for good. Pesticides, or Poisonous Ingredients. 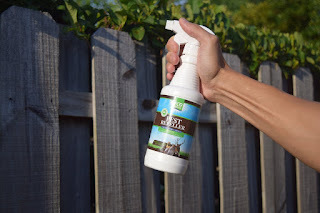 You can be rest assured that when using Eco Defense your pets and family will not be exposed to the dangers and long term side effects these chemicals cause. Let the Organic Ingredients in Eco Defense Banish your pest problem for good! 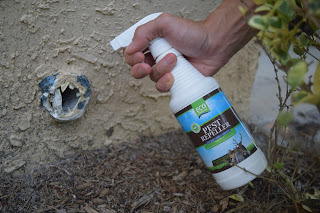 NATURAL LY ELIMINATE PESTS FOR GOOD - All Natural Organic formula safely repels pests both in your home and around your house. Does not contain foul smelling ingredients typically used in "Natural" repellent products. Sprays easily and does not leave behind smells or residue. and many others causing problems to your home and property. Eco Defense is the most Natural and effective Pest & Animal Repellent on the market. 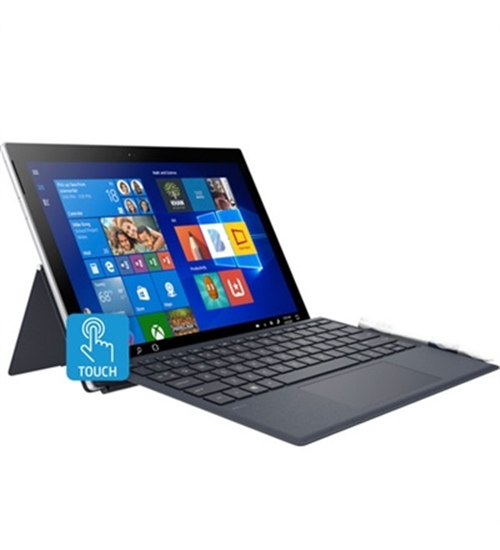 USE ANYWHERE - Can be used both indoors and outdoors. Safely spray in cupboards, attics, basements or anywhere pests may be invading your home. Can be diluted to last twice as long or sprayed directly in problem areas containing heavy infestations. Use Outdoors anywhere around your yard and home. Works faster and more effectively then Electronic or Ultrasonic Repellers. MONEY BACK GUARANTEE - Formulated by professional exterminators Eco Defense is guaranteed effective to work. Try 100% Risk-Free for 60 days and if you have not eliminated your pest problem we will refund 100% of your purchase. No questions asked.